Fibroids aren't cancerous. They rarely interfere with pregnancy. They usually grow slowly — or not at all — and tend to shrink after menopause, when levels of reproductive hormones drop. Gonadotropin-releasing hormone (Gn-RH) agonists. Medications called Gn-RH agonists (Lupron, Synarel, others) treat fibroids by blocking the production of estrogen and progesterone, putting you into a temporary postmenopausal state. As a result, menstruation stops, fibroids shrink and anemia often improves. Your doctor may prescribe a Gn-RH agonist to shrink the size of your fibroids before a planned surgery. Many women have significant hot flashes while using Gn-RH agonists. Gn-RH agonists typically are used for no more than three to six months because symptoms return when the medication is stopped and long-term use can cause loss of bone. 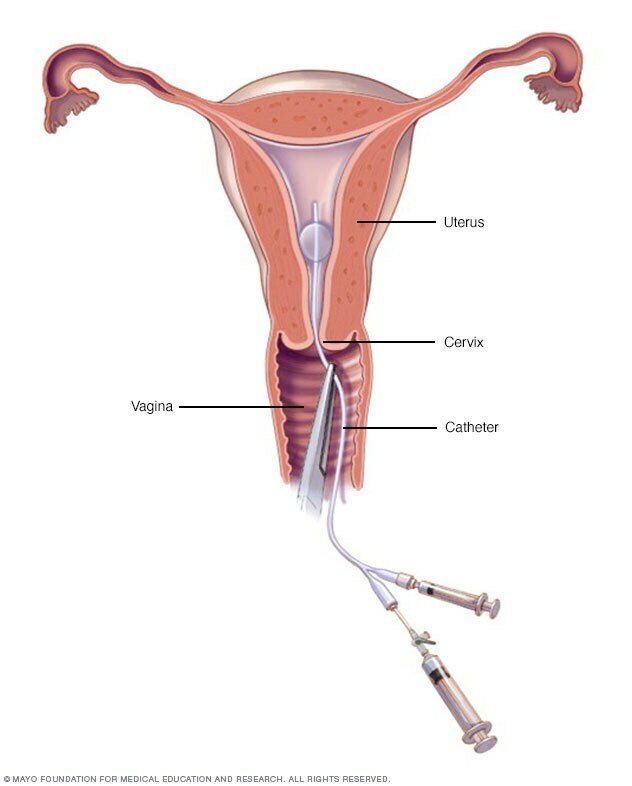 Progestin-releasing intrauterine device (IUD). 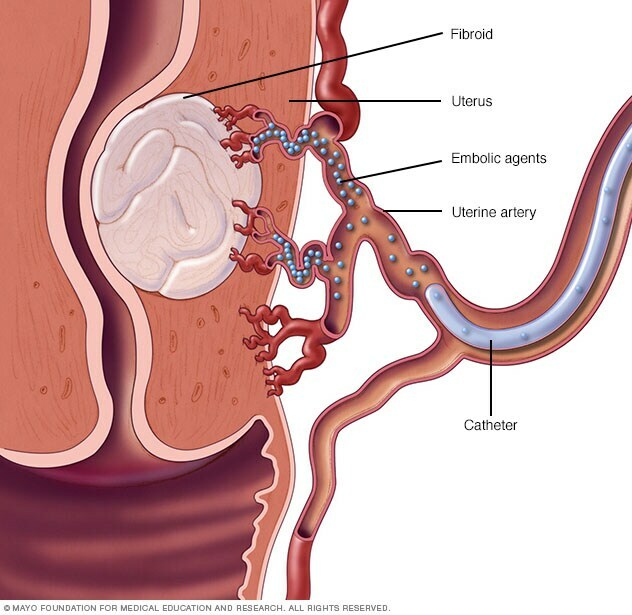 A progestin-releasing IUD can relieve heavy bleeding caused by fibroids. A progestin-releasing IUD provides symptom relief only and doesn't shrink fibroids or make them disappear. It also prevents pregnancy. Tranexamic acid (Lysteda). This nonhormonal medication is taken to ease heavy menstrual periods. It's taken only on heavy bleeding days. Other medications. Your doctor might recommend other medications. For example, oral contraceptives or progestins can help control menstrual bleeding, but they don't reduce fibroid size. Nonsteroidal anti-inflammatory drugs (NSAIDs), which are not hormonal medications, may be effective in relieving pain related to fibroids, but they don't reduce bleeding caused by fibroids. Your doctor may also suggest that you take vitamins and iron if you have heavy menstrual bleeding and anemia. 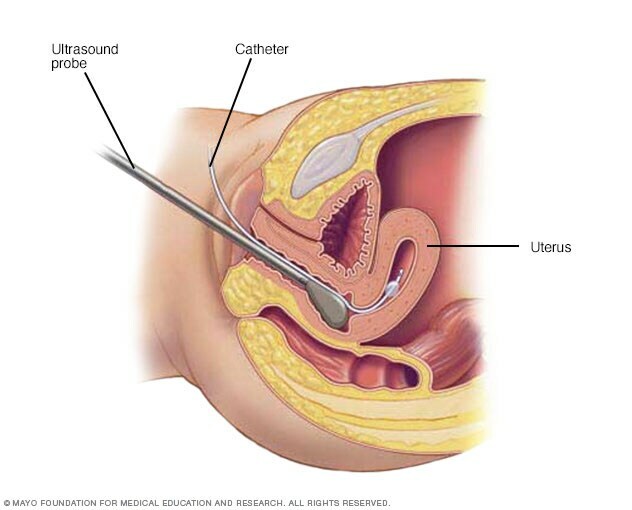 Typically, endometrial ablation is effective in stopping abnormal bleeding. 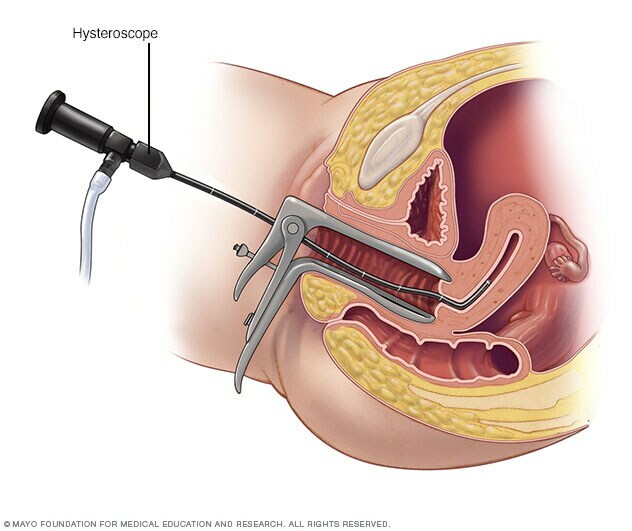 Submucosal fibroids can be removed at the time of hysteroscopy for endometrial ablation, but this doesn't affect fibroids outside the interior lining of the uterus. Hysterectomy ends your ability to bear children. If you also elect to have your ovaries removed, the surgery brings on menopause and the question of whether you'll take hormone replacement therapy. Most women with uterine fibroids may be able to choose to keep their ovaries. For all procedures except hysterectomy, seedlings — tiny tumors that your doctor doesn't detect during surgery — could eventually grow and cause symptoms that warrant treatment. This is often termed the recurrence rate. 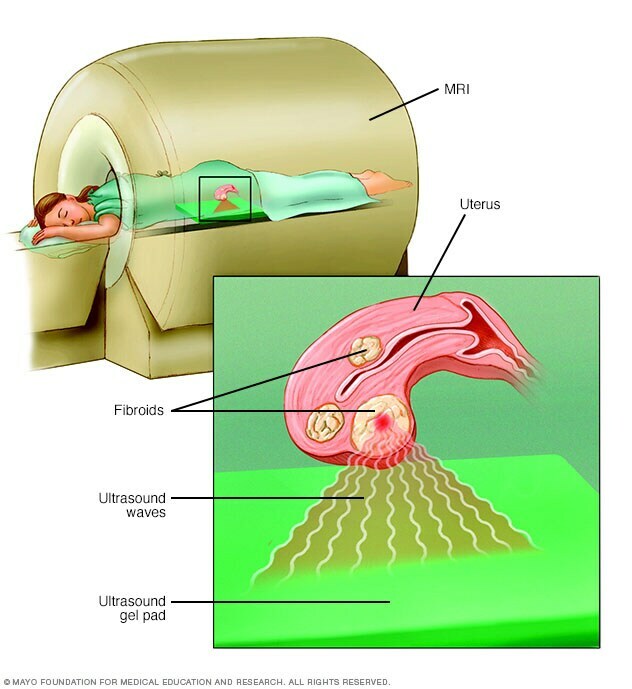 New fibroids, which may or may not require treatment, also can develop. Some websites and consumer health books promote alternative treatments, such as specific dietary recommendations, magnet therapy, black cohosh, herbal preparations or homeopathy. So far, there's no scientific evidence to support the effectiveness of these techniques. Your first appointment will likely be with either your primary care provider or a gynecologist. Because appointments can be brief, it's a good idea to prepare in advance for your appointment.